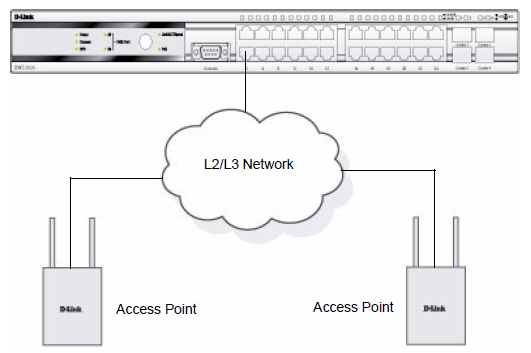 How do I login to the management interface of my D-Link DES-3526 xStack Switch? The procedures are in accordance assuming the following device information. Step 1: Make sure the device is powered on. Connect one of the COM ports located on the rear panel of your computer to the RS-232 serial port located on the front panel of the device. Make sure the cable connections are secured. 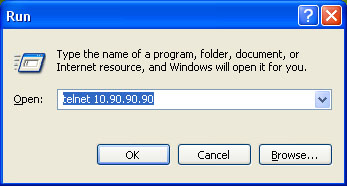 Step 2: If you are using the Windows operating system, click on Start and select the Run. Type in the Run field hypertrm and click OK. Note: For support on running the Terminal Emulation application on another operating system, consult your OS manufacturer. Step 3: For the Name, type in DES-3526. Click on OK. 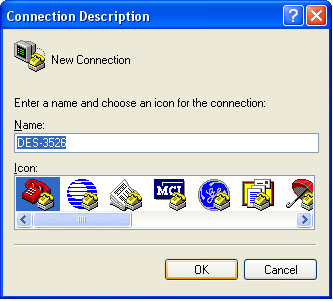 Step 4: For the Connect To window, select the appropriate COM port used in connecting to the device. Click on OK. Step 6: Make sure the Scroll Lock option is disabled on the keyboard. Press Enter on the keyboard and the Command Line Interface will appear. By default, there is no user name and password. You will now be logged into the command line interface. Note: For instructions on statically assigning your IP address, click on the appropriate option. 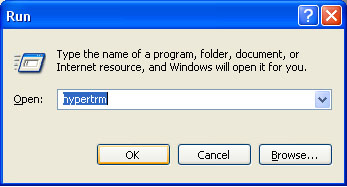 Step 4: If you are using the Windows operating system, click on Start and select the Run. Type in the Run field telnet 10.90.90.90 and click OK. Note: For support on running the Telnet application on another operating system, consult your OS manufacturer. Step 5: The Telnet screen will appear. By default, there is no user name and password. You will now be logged into the Command Line Interface. In order for the Unified Switch to be able to discover and manage access points, the WLAN switch and its operational status must both be enabled. The WLAN component is enabled by default. When you access the switch user interface, make sure you set the correct country code for the switch so that the access points can only operate in the modes permitted in your country. 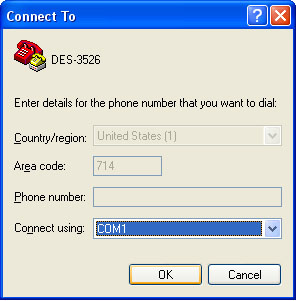 The default country code is US for operation in the United States. NOTE:Wireless features are available under the WLAN tab on the navigation menu. NOTE:Most configuration pages have a Submit button, which applies the changes to the running configuration but does not save them to non-volatile memory (NVRAM). To make the changes permanent so they persist across a reboot,click the Tool, then click Save Changes to navigate to the appropriate page.You can also use the write command in Privileged Exec mode. Check the box to enable WLAN switching functionality on the system. Clear the check box to administratively disable the WLAN switch. If you clear the check box, all peer switches and APs that are associated with this switch are disassociated. Disabling the WLAN switch does not affect non-WLAN features on the switch, such as VLAN or STP functionality. If the status is pending, click Refresh to refresh the screen. • None—The cause for the disabled status is unknown. • Administrator disabled—The Enable WLAN Switch check box has been cleared. • No IP Address—The WLAN interface does not have an IP address. • No SSL Files—The D-Link Unified Switch communicates with the APs it manages by using Secure Sockets Layer (SSL) connections. The first time you power on the Unified Switch, it automatically generates a server certificate that will be used to set up the SSL connections. The SSL certificate and key generation can take up to an hour to complete. • No Loopback Interface—The switch does not have a loopback interface. • Global Routing Disabled—Even if the routing mode is enabled on the WLAN switch interface, it must also be enabled globally for the operational status to be enabled. This field shows the IP address of the WLAN interface on the switch. If routing is disabled, the IP address is the network interface. If routing is enabled, this is the IP address of the routing or loopback interface you configure for the Unified Switch features. Select the check box to require APs to be authenticated before they can associate with the switch. Select the database to use for AP validation. • Local—If you select this option, you must add the MAC address of each AP to the local Valid AP database. • RADIUS—If you select this option, you must configure the MAC address of each AP in an external RADIUS server. Select the country code for the country where your switch and APs operate.A popup window asks you to confirm the change. Wireless regulations vary from country to country. Make sure you select the correct country code so that your WLAN system complies with the regulations in your country. Some WLAN modes, such as the Atheros modes, are not available in some countries. Changing the country code disables and re-enables the switch. Any channel and radio mode settings that are invalid for the regulatory domain are reset to the default values. The country code (IEEE 802.11d) is transmitted in beacons and probe responses from the access points. From the CLI, you can view the same information that is available on the Wireless Global Configuration page with the show wireless command in Privileged EXEC mode. If you need to change the country code, you can view the list of available countries and their twoletter codes with the show wireless country-code command. The CLI commands to set the country code and enable the WLAN switch are available in Wireless Config mode. To set the country code, enter country-code . To enable the WLAN switch, enter enable. The following example shows how to access Wireless Config mode, set the country code to Canada, and enable the WLAN switch. After you perform the physical hardware installation, you need to connect the D-Link Unified Switch to the network. The default IP address of the switch is 10.90.90.90/8, and DHCP is disabled by default. If you want to enable DHCP on the switch or assign a different static IP address, you must connect to the switch and change the default settings. 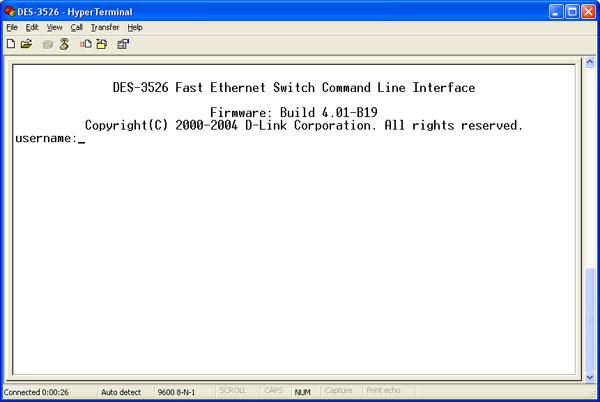 You can connect to the switch through Telnet or a Web browser from a host on the 10.0.0.0/8 network, or you can connect to the switch through the console port (RS-232 DCE). 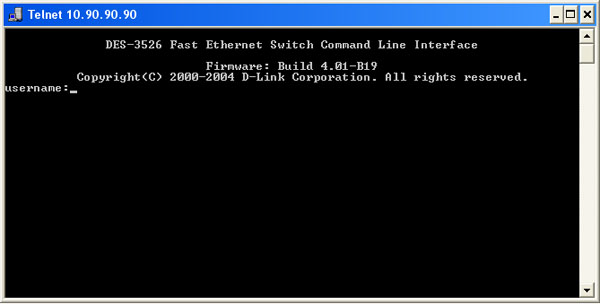 After you connect to the switch, you can provide network information or enable the DHCP client. 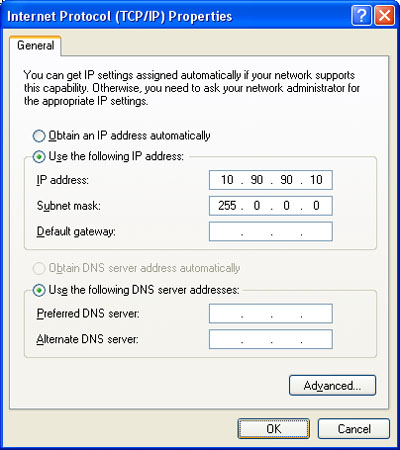 To connect to the D-Link switch from a host on the 10.0.0.0 network, enter the default IP address of the switch (10.90.90.90) into the address field of a Web browser or a Telnet client. Enter admin as the user name. There is no default password. 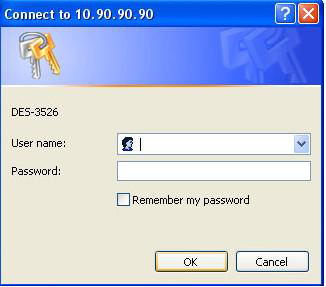 Press ENTER at the password prompt if you did not change the default password. After a successful login, the screen shows the (switch-prompt)> prompt. The command prompt changes to (switch-prompt)#. The default gateway is an optional parameter, so you do not need to enter an address to execute the command. Once the D-Link Unified Switch is connected to the network, you can use the IP address for remote access to the switch by using a Web browser or through Telnet or SSH. You can use any of the 1000BASE-T ports, 10GB ports, or fiber-optic ports to connect the D-Link Switch to your network. The type of port you use to connect the switch depends on your network requirements and the type of node to which you connect the Switch, which might be a hub, router, or another switch. There is a great deal of flexibility on how connections are made using the appropriate cabling. • Connect a 10BASE-T hub or switch to the Switch via a twisted-pair Category 3, 4 or 5 UTP/STP cable. • Connect a 100BASE-TX hub or switch to the Switch via a twisted-pair Category 5 UTP/ STP cable. • Connect 1000BASE-T switch to the Switch via a twisted pair Category 5e UTP/STPcable. 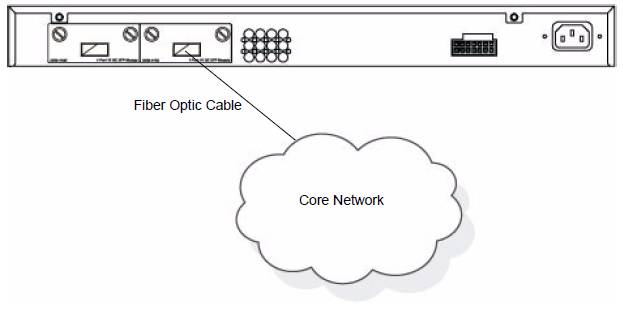 • Connect a switch supporting a fiber-optic uplink to the Switch’s SFP ports via fiber-optic cabling. 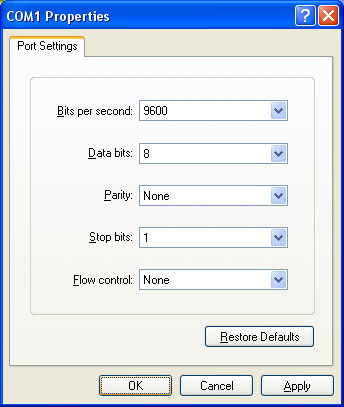 • Change the Switch to PoE mode using the Mode Select button. When in PoE Mode, the Switch works with all D-Link 802.3af capable devices. The Link/Act LEDs for each UTP port will light green or amber when the link is valid. A blinking LED indicates packet activity on that port. You can connect one or more DWL-3500AP or DWL-8500AP access points directly to the Switch by using a straight-through or crossover UTP cable. The Switch can discover and manage APs whether they are directly connected, connected through a device in the same subnet, or connected to different subnets. The optional 10GB ports on the DWS-3026 are ideal for uplinking to the core network. Connections to the Gigabit Ethernet ports are made using a fiber-optic cable or Category 5e copper cable, depending on the type of port. A valid connection is indicated when the Link LED is lit.